Ale Giorgini is a much sought-after Italian artist, specialising in fun, colour-saturated illustration paying homage to iconic movies, musicians and TV shows. 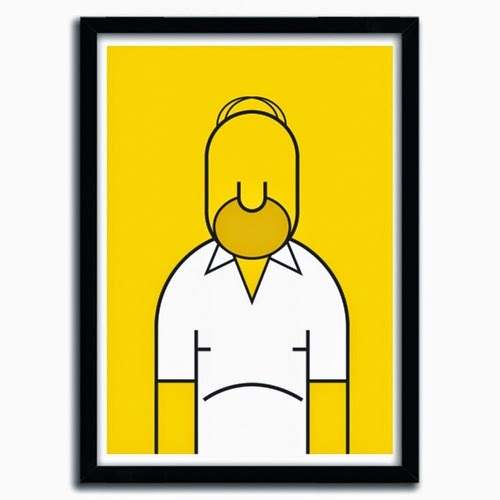 His latest print offering captures Homer Simpson in Giorgini's distinctive style, blending Cubism together with retro cartoons. Produced in collaboration with the print arm of K.Olin Tribu° artists' editions in Limoges (France), 'Homer' is available in three print sizes, limited to 50 copies a piece on 300gsm fine art paper, complete with a signed certificate of authenticity.